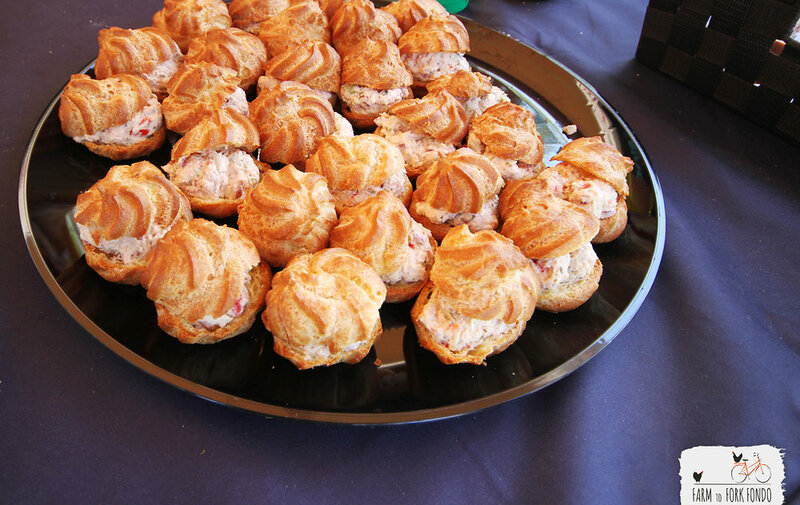 On-site activities: local and cycling industry vendors; free tours of The Manor House for all participants, and self-guided garden and landscape tours of the Plantation. Part of our mission is to provide achievable challenges to participants of all ages and abilities. Some of our events have routes that are more difficult than others, so we provide general ratings of Easy, Moderate, or Difficult for you to find the events of ours that best suit your goals. 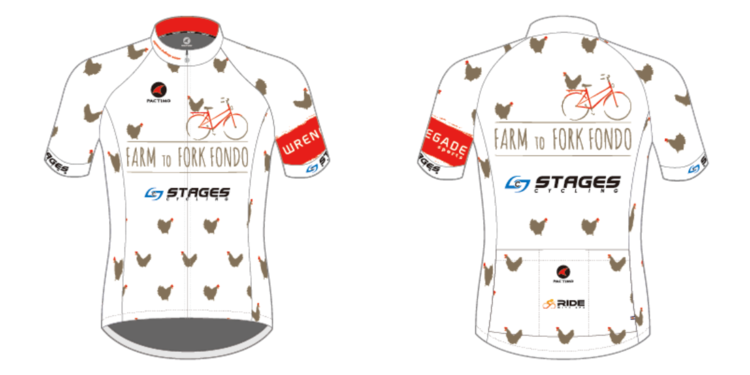 Compete for the coveted Polka Chicken jersey and see how you stack up in our optional age-graded timed segment competition. View the segments and RSVP for the Stages Segment Challenge on the Ride With GPS Event Page. More information on our Segment Challenge Page. More than 4,300 feet of climbing. Dozens of Shenandoah farms. Breathtaking views and challenging ascents nestled between the Blue Ridge and Allegheny Mountains. Earn your feast. Dine in style. Get up close and personal with Shenandoah agriculture. Challenge yourself on some climbs and take in the views. All of the Gran Fondo experience in a tighter package. Rolling hills, working farms, and bucolic vistas of the Shenandoah Valley's distinctive farmland. Your favorite Sunday drive, now on two wheels. We've packed the picnic. The historic Shenandoah Valley is nestled between the Allegheny and Blue Ridge Mountains in the northern portion of Virginia. It's the largest agricultural producer in Virginia, boasting four of the top five agricultural counties in Virginia. The Shenandoah Valley is steeped in farming tradition, tracing its roots all the way back to the 1730s when the first settlers came to the area. Growing rapidly, by the Civil War it was considered the “Granary of the Confederacy” and an important strategic region for both sides. Ultimately the war left the farms and fields destroyed, but since then the Shenandoah Valley has returned to and continues its proud agricultural tradition. Constructed in 1797 by Major Isaac Hite, Belle Grove Plantation's Manor House is a stunning example of Jeffersonian architecture. The Plantation is operated as a historic house museum by Belle Grove, Inc., a non-profit organization. Belle Grove is owned by the National Trust for Historic Preservation and is one of their 27 historic sites. Belle Grove is also a partner in the Cedar Creek Belle Grove National Historic Park. Visitors will learn about the Hite family, 18th-19th century architecture, agriculture, slavery, and the Civil War in the Shenandoah Valley. Our staff and volunteers are honored to care for this special place and look forward to sharing it with you. Free self-guided tours are available from 4pm-7pm on Saturday, September 28th. Amazing Virginia history and award-winning Virginia Wine are what you’ll find at Valerie Hill Vineyard & Winery. Family-owned and operated, this farm winery was born from a commitment to preserve the rural beauty of the Commonwealth, a desire to build a legacy for future generations of their family, and a passion for Virginia wine. Located just south of Winchester near Stephens City, Virginia, the 18-acre farm is steeped in history. The focus is the Tasting House, a Federal style brick manor house dating back to 1807 and the namesake of the winery — Valerie Hill. The manor house has been painstakingly restored and many of her rooms are open to the public to enjoy the award-winning wines and lite fare, surrounded by centuries-old architecture. 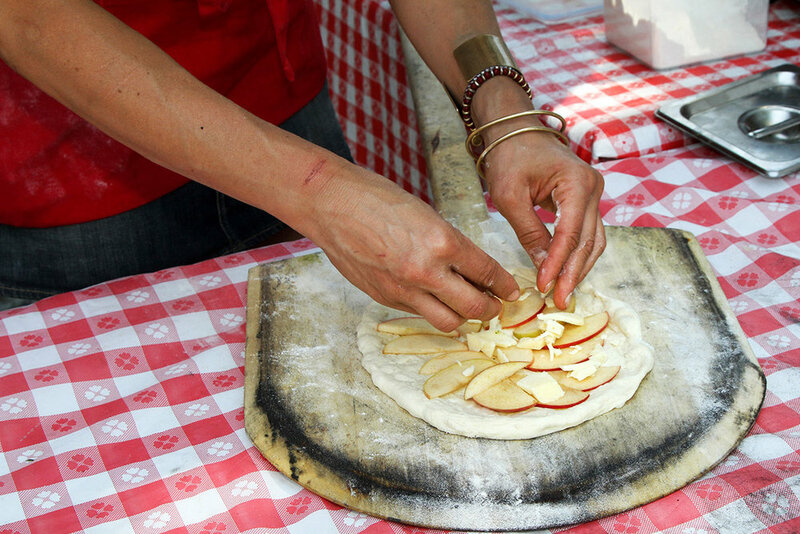 Richard's Fruit Market is the oldest "country classic" open air farmers market conveniently located on the Richard's fifth generation family farm (est. 1878) in Frederick County, Virginia. 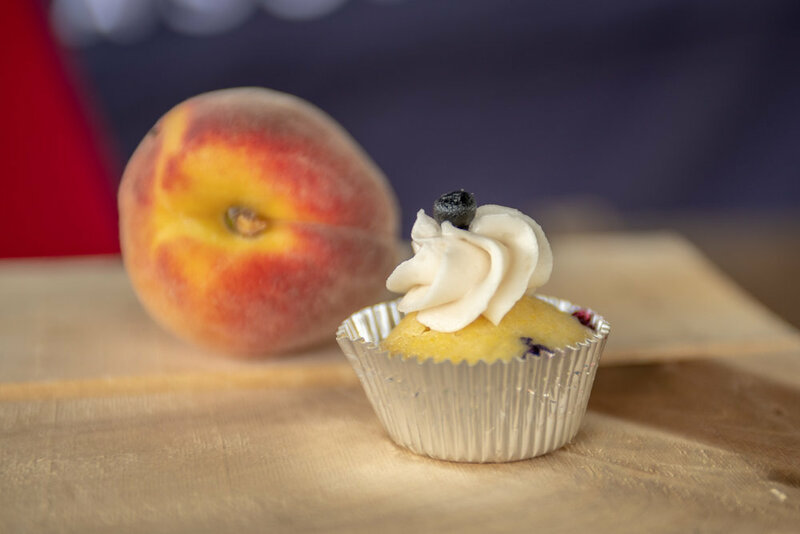 The farm offers everything you need to enjoy a complete meal at home including beef, fruit, vegetables, fresh baked desserts, wine and even pick-your-own flowers for your table — fresh from the farm! Valley Roots Farm uses regenerative, permaculture-based practices to provide nutrient-dense food while improving soil, water, and air quality. The farm's products include pastured-raised chickens for eggs and meat, forest raised pork, salad bar beef, and pesticide free nuts, fruits, and vegetables. No growth hormones, antibiotics, chemical fertilizers, herbicides, or pesticides will ever be used. The farm's organic produce includes leafy greens, arugula, beets, carrots, herbs, radishes, tatsoi, apples, pears, and berries. Learn more on the Valley Roots Farm Facebook Page. In 1898, Dr. Isaac Brumback purchased Woodbine Farms and laid the foundation for what has become a "Century Farm." In 1926, Dr. Brumback willed the property to his son, Harman, who had already built a home and barn on the property. Harman was married to Miss Fannie Funkhouser of Lebanon Church, VA. They continued to farm while raising their two sons, Henry & Frank. The farm grew in acreage and products, as two more children blessed the family — another son, James, and a daughter, Margaret. The children matured, continued on the farm, and in 1965 the farm became Woodbine Farms, Inc. Only the title changed, as the owners remained in the same family; spirited siblings and parents welcoming each new day. Of course, time has led to the attrition of people and crops. Harman & Fannie have been gone for many years, but the siblings and cousins continue working together to keep Woodbine Farms, Inc. running as the same family farm it has always been. For more information visit WoodbineFarmMarket.com. The current farm market is on the land that Amos Marker bought back on July 11, 1908. The stone house on the farm dates back to 1811 and is known as "Paxton." Currently, the fourth and fifth generations are farming this land. John D. Marker started planting apple orchards in the 1930s and his family continues to do so today. J. Ralph Marker expanded the orchards and added peaches in the late 1940s and early 1950s. He passed away in 1953, and Ada Marker and Fay Marker-Miller continued the management of the farms and orchards, which is how the name Marker-Miller Orchards originated. Backroom Brewery is a boutique farm brewery nestled in the heart of the Shenandoah River Valley that began as a herb farm, growing culinary and medicinal herbs for the garden center trade. Their herb farm, Sunflower Cottage, grows 120,000 potted herb plants each spring from seeds and cuttings to sell to other garden centers and to customers. In 2013 they began the process of creating an ordinance in Warren County to accommodate farm breweries. By late spring, the process was complete and Backroom Brewery became the first farm brewery in the Northern Shenandoah Valley. They now have over 20 beer recipes approved by the Commonwealth of Virginia. In the spring, summer, and fall gardens abound and families enjoy the farm, the scenery, the corn hole, the labyrinth, and chalkboards. Discover award winning wines, exceptional mountain vistas, and a storybook setting at North Mountain Winery. From the winery deck enjoy the views of the vineyard site that has been farmed since the 1700s. The first grapes were planted in 1982 and included Chambourcin, Chardonnay, and Vidal Blanc. North Mountain’s winemaker strives to present a unique array of elegant wines exclusive to the vineyard’s terroir. The elegant and cozy tasting room with fire place offers tastings of their unique wines. Expansive lawns and lovely picnic areas welcome families and well behaved pets, with picnics brought from home. Gourmet light fare is served on the decks and in the great room. Lovely flower gardens invite visitors to stroll and bring their cameras! 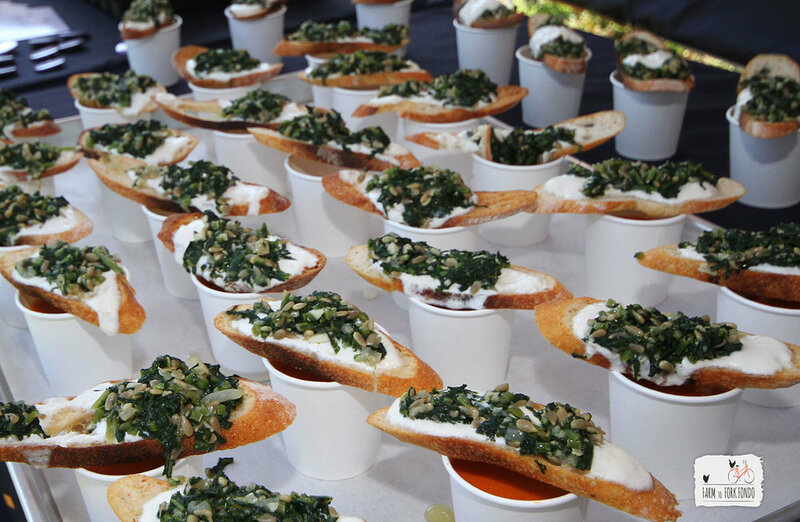 All dishes made from scratch, using as many ingredients as possible from local farms. Dr. Jan Kasprowicz and his team at New Jersey Chiropractic & Sports Recovery understand and promote the importance of high-quality locally sourced food. For more information visit WATTS-homelessshelter.org. Lydia's Clothes Closet started as a "work of the heart" from the Strasburg United Methodist Church to provided clean, affordable clothes for those in the community and those affected by tragedy. It has transformed into a community venture to not only provide clothes to those in need, but to also help support local nonprofits who help those who need it most. By offering volunteer opportunities, they have also become an example to young people about how community members can help one another. For more information visit the Lydia's Clothes Closet Facebook Page. Special Love is a nonprofit organization that provides families affected by cancer a community of support, made up of other patients and families who know and understand the trials and triumphs of the cancer experience. Special Love strives to bring together children with cancer and their families for fellowship, friendship, and fun. Families on the pediatric cancer journey have an ally during and after the cancer experience. Each family member is included in programs: Family weekends give Mom and Dad a chance to share with other adults, and siblings have a program that gives them the attention they need and an opportunity to make their own friends. Hospitals refer the families of children with cancer to Special Love. The communication among the patient, doctors, family, and Special Love staff assures the best interests of the child with cancer are well-represented and everyone has an understanding of the patient’s needs. For more information visit SpecialLove.org. The Staufferstadt Mural Project is an ongoing public art project, which installs three murals yearly in the town of Strasburg. Staufferstadt Arts works with world-renowned muralists who produce work that is location-sensitive and tailored to speak to the community in which it resides on an emotional and/or intellectual level. With the aim of creating a small collection of contemporary mural art, Staufferstadt Arts is building a walkable outdoor gallery; this gallery will serve as an artistic gateway into the county, physically welcoming visitors and spiritually inviting residents to imagine a future where anything is possible. Staufferstadt Arts wants to inspire those who live in and visit Shenandoah County to believe that big things can happen in small towns. For more information visit Staufferstadt.org . Founded in 1970, Lord Fairfax Community College (LFCC) is a comprehensive, multi-campus public institution of higher education. Through its four locations — the Middletown and Fauquier Campuses, the Luray-Page County Center, and Vint Hill — the college serves eight localities in the Shenandoah Valley and Piedmont regions. The localities are the counties of Clarke, Fauquier, Frederick, Page, Rappahannock, Shenandoah, and Warren, as well as the City of Winchester. LFCC offers more than 75 associate degree and certificate programs in a wide variety of disciplines, in addition to providing access to bachelor’s, master’s, and doctoral degree programs offered onsite by a four-year institution. LFCC also serves the business community by offering workforce preparation programs for employees and employers. LFCC serves more than 7,600 unduplicated credit students and more than 10,450 individuals in professional development and business and industry courses annually. For more information visit Lfcc.edu. Note: there are other sites in Virginia named Belle Grove, so please double check your GPS before you join us to make sure you're heading to Middletown. 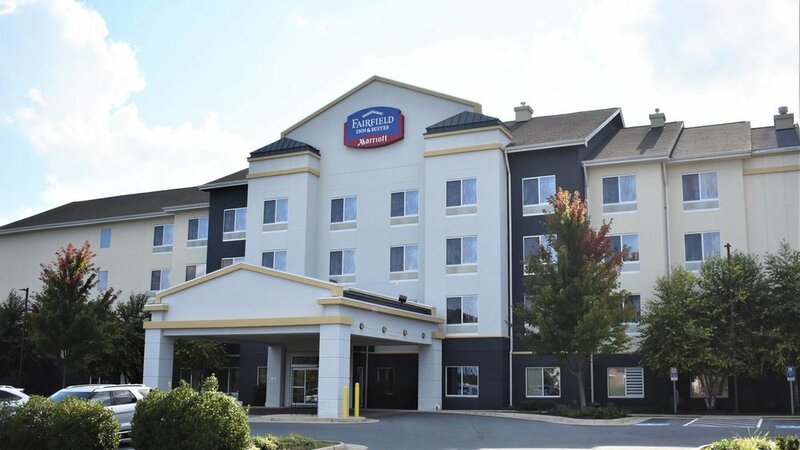 At the Fairfield Inn & Suites Strasburg-Shenandoah Valley you'll find clean and comfortable accommodations, friendly service and smart amenities offered at affordable prices. Located off of I-81 and I-66, you'll be six minutes by car to our event venue, Belle Grove Plantation. Enjoy clean and well-designed guest rooms and suites with a 32" LCD HDTV and travel-friendly amenities like free high-speed Internet, indoor heated pool, fitness room, and business library. Start your day off right with our complimentary delicious hot breakfast or enjoy a snack anytime of the day at the 24/7 Market. The Farm to Fork Fondo participant rate of $139/night is available Saturday and Sunday of event week. To reserve, please call the hotel for a reservation at 540-465-1600 and mention that you’re a Farm to Fork Fondo participant. Reservations must be made before August 11, 2019 to assure this great rate. The Hopewell House Bike & Bed is the culmination of the love of people and cycling. The Watson’s traveled from the DC area for years to ride their bikes in a safe and less congested area. They fell in love with the Shenandoah Valley – the beautiful scenic roadways, the people, the food, and the fresh air while pedaling miles throughout the valley. When they viewed the house for the first time, literally the first thing they said as they entered the front door was, “This is beautiful; it feels just like a Bed & Breakfast!” Clearly, that idea never went away and morphed from the idea of a traditional Bed & Breakfast, to more closely align with their passion for cycling into a “Bike & Bed.” Their hope is people enjoy the beauty of valley, slow a bit to relax and take a break from the daily hustle and bustle. The Hopewell House Bike & Bed is located in Strasburg and only a 10 minute drive to Belle Grove Plantation. To reserve a room please call 703-606-9454. Local bike shop partner Element Sports is offering bike rentals for Farm to Fork Fondo – Shenandoah participants. All reservations include delivery to Belle Grove Plantation on event day. Reserve online here or call 540-662-5744 and mention Farm to Fork Fondo to reserve your bike.